Companies and organizations from across the San Francisco Bay Area will be at Sonoma State University on Thursday for the university's annual Career Fair, giving students the opportunity to network, interview and prepare for life after graduation. Hosted by the university's Career Services, the fair will feature representatives from companies ranging from Tesla Motors to Francis Ford Coppola Winery to Redwood Credit Union. The university's 27th annual Career Fair will host more than 100 employers, tailored toward all majors, reflective of Sonoma State's diverse student population. The Career Fair gives employment opportunity to not only seniors and 2016 graduates, but students of all academic years looking for internships and future job opportunities. "Whether someone is a senior looking for their next step towards a career or a freshman just exploring different opportunities, any student can benefit from this experience," says Kimmie Jones, a student assistant at the Career Center on campus. "The Career Fair is a great way to build their network and practice talking about their qualifications, achievements and goals." In preparation for this week's event, Career Services hosted multiple workshops last week discussing the topics of networking, preparing a resume and how to use professional networking website LinkedIn. 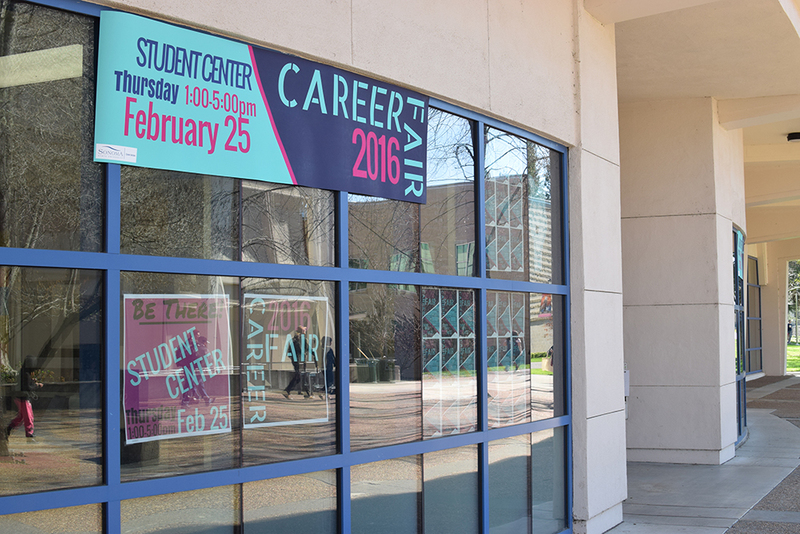 The Career Fair is on Thursday, Feb. 25 from 1 p.m. to 5 p.m. in the Student Center Ballroom and all students are encouraged to attend. For more information, visit the the Career Center in Salazar Hall or visit sonoma.edu/career/.